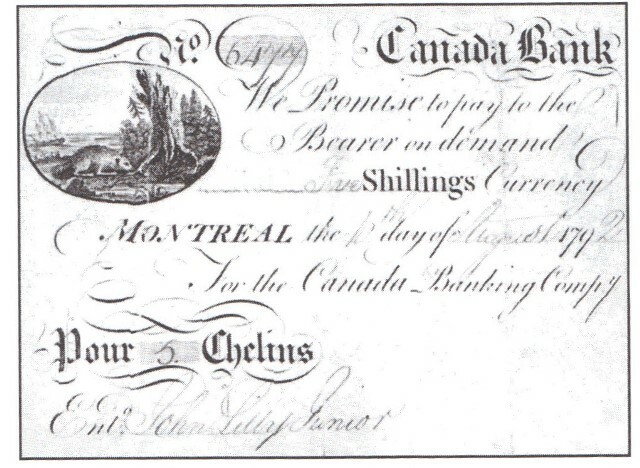 The Canada Bank was likely open in 1792. We only say that simply because bank notes exist that are dated as 10th day of August 1792. We don’t really know much about this financial institution. Money from the bank is very rare today, but most collectors view this as an esoteric issue. For that reason, these bank notes might not be on a lot of want lists. Despite that, authentic examples are almost always worth over $1,000. Contact us for exact pricing information. We buy all types of Canadian currency. 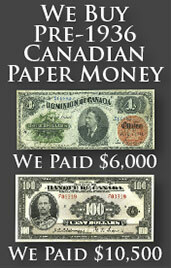 We are especially interested in bank notes from The Canada Bank of Montreal. You might be surprised at how much money we can offer for some currency. Send us an email with pictures of the front and back of your bank note and we will respond quickly with our offer. 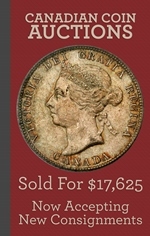 Your piece of currency from The Canada Bank of Montreal could look similar to the one seen below. Contact us for more value information.